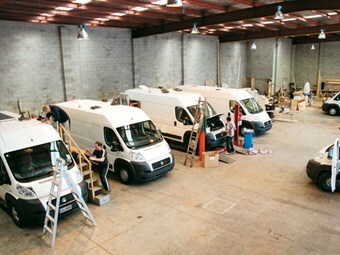 This South Auckland motorhome manufacturing business is owned by John Managh and his sister Mary, who lives in Thames. 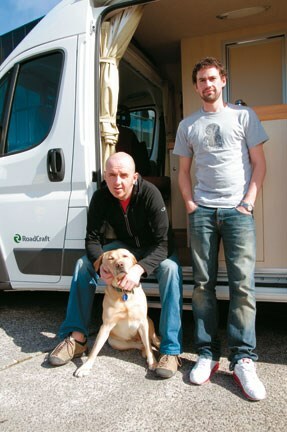 The two are also owners of RoadCraft’s associated rental business, Wilderness Motorhomes. The company is John’s brainchild and his philosophy and vision for its products are well honed. "Our design philosophy combines tried and true with innovative and new, avoiding what I feel are superficial trends," he says. "Our RVs must be ‘four seasons capable’ and so they have good insulation, diesel heaters and effective ventilation. Comfort is another essential ingredient. I believe a hard day’s tramping earns you the right to a comfortable bed for a good night’s sleep. "Socialising or just chilling out is more satisfying if you have a comfortable couch to lounge on. And then you must have room to stow the toys: the kayak, the bicycle, the surfboard. Hiking, biking, kayaking and tramping enthusiasts are our focus." John is the youngest of five children, and was raised in a family with a heritage in forestry and saw milling. His personal background however, is in engineering. Like many New Zealanders before him, he headed overseas after he had finished his training. His travels took him to Africa where he helped to build truck-based tourist travel vehicles and it was there, he says, that he learnt the need for stamina and how to make vehicles tough and enduring. Back in NZ and looking for a business opportunity, John had several ideas but finally settled on the one that married his passions for travel and design. 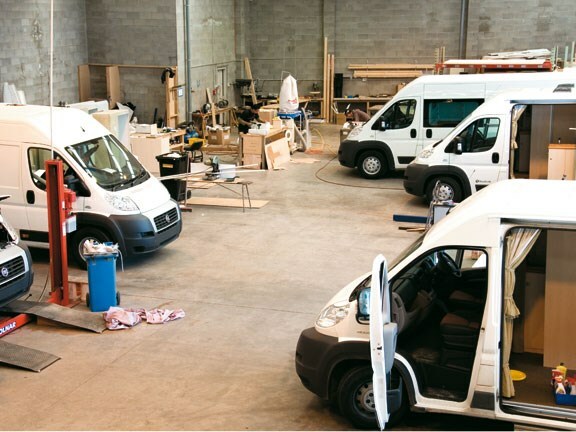 The idea of building motorhomes for sale as well as for use in a rental fleet is not a new one, there are many other people in this sort of business in New Zealand. The difference in John’s business plan was the type of clients the business would cater to and the sorts of vehicles required to meet their needs. Functional space is a cornerstone. Easily accessible kitchen storage and bathrooms that serve as drying rooms are examples. Other RoadCraft requirements include good indoor/outdoor connection providing easy viewing and access, an outside shower and a convenient BBQ arrangement. The business got underway in 2004 with six Toyota HiAce campervans. They were purchased second-hand and refurbished to include as many of the essential RoadCraft ingredients as was practical. They didn’t meet all of the RoadCraft criteria, but it was a valuable experience as to what worked and what didn’t, and what clients liked and what they didn’t. 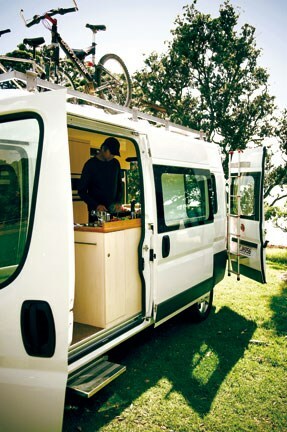 RoadCraft constantly challenged its clients to "show us a better rental campervan than the one we are renting to you". This experience and client feedback helped the plans for the RoadCraft ‘dream machine’ to evolve. 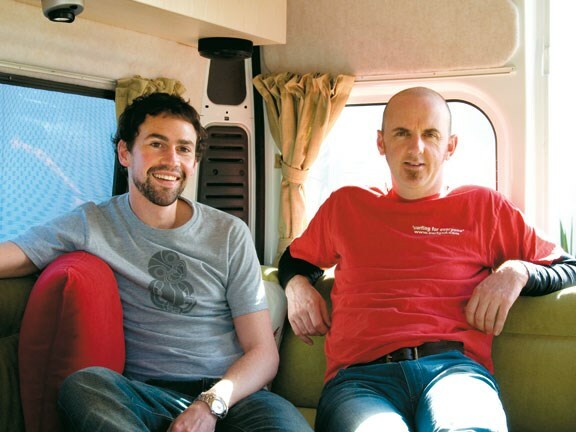 The RoadCraft dream evolved into the BaseJumper, which had its first public airing at the annual National Motorhome Show at Hamilton in March this year, (Issue 43, April 2008). Based on the new Fiat Ducato Maxi panel van, with a 2.3 litre 120hp Turbo diesel and a six-speed manual gearbox, it provided the stimulating drive the design philosophy called for. "With ABS and disc brakes all round, air-con in the cab and 10 litres/100kms fuel consumption, it is just like a big car to drive, and it can be driven by car licence holders as it weighs less than 3500kg fully laden," says John. Gray Borrell, marketing leader for RoadCraft, offered to show me some of the features that illustrate the points set out in the design brief. "We used this solid one-piece macrocarpa bench-top in the BaseJumper to bring an element of nature right into the vehicle. Below the bench-top we have drawers rather than cupboards. There is a specific place for all the utensils and equipment so everything is easy to find. The settee cushions are constructed from layers of different density foam and are contoured, which improves both comfort levels and appearance." Gray stretched out on the settee to make a point. "These convert into a large, very comfortable bed for two," he said. "If you are on, say, a skiing trip and the weather confines you to barracks, you can turn on the diesel-fed heater and remain as warm as toast while you wait for the weather to clear." Judging by the satisfied glint in his eye, I reckon he’s done that more than once! The 15-inch TV and accompanying DVD/CD sound system would ensure you weren’t bored. Roof racks and bike racks can be added to the BaseJumper to carry recreational toys but RoadCraft can also supply a custom-built trailer, tailor-made to requirements and providing a more secure way to transport the treasures. BaseJumpers now forms a substantial part of the rental fleet of Wilderness Motorhomes. This year around 50 percent of the BaseJumper production has gone into the fleet. Wilderness has an office in the RoadCraft building at Airport Oaks, Mangere, and another at Papanui in Christchurch. It has a fleet of around twenty vehicles and the plan is to add to it in the coming years. The manufacturing facility was busy with staff coming and going around the seven vehicles, which were at various stages of construction on the workshop floor. They appeared to be weathering the quiet patch the economy is going through well. What does the future hold for RoadCraft? "Good things" says John. "We have a new coach-built model on a Ducato cab/chassis under way, which is due for release in the second quarter of 2009. It’s aimed at the same market, but larger groups, families, that sort of thing." We wish him well and look forward to seeing this new product, which will be developed with RoadCraft’s philosophy in mind.